Over this past weekend, we were treated to details of a Royal visit in California, a Republican Congressman dining in Washington, DC and a “Saturday Night Live” re-run. The events neatly fit the title of that old Clint Eastwood movie referenced above. Kate Middleton has us smitten. The Duchess of Cambridge and her husband visited North America last week, and finished their trip in Hollywood. Kate exhibits a sophisticated fashion sense, and has a radiant goodness about her. We can’t get enough. Congressman Paul Ryan was accosted in Washington, DC while dining at Bistro Bis. 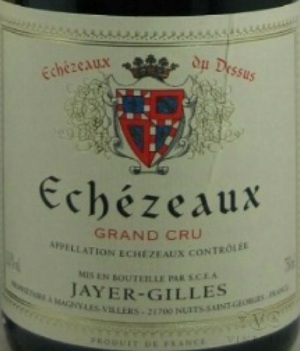 A Rutgers University professor celebrating her birthday was overcome with outrage over the Congressman drinking a glass of Pinot (a 2004 Jayer-Gilles Echézeaux) with his meal. Professor Feinberg was incensed that a Congressman promoting austere budgetary policies was drinking an expensive wine. Tina Fey appeared on television in a re-run of “Saturday Night Live” and performed in a sketch about hapless Republican contenders in the upcoming 2012 election. The skit featured Ms. Fey in the role of Sarah Palin and Kristen Wiig as Michele Bachmann. Both of the Republican women were portrayed as inappropriate and unqualified. These three separate incidents reflect our culture: There is a duality in play. We celebrate lavish events, and yet take certain individuals to task for “their excess.” We celebrate style and female charm, but also enjoy mocking women of accomplishment and independence. Our culture loves “The Discrepancy.” We have an entertainment venue that features a pregnant lady for a host, targets the show for a Mother’s Day audience, and then objectifies women of a particular political group. Maybe, but our American culture doesn’t even stop to take notice.